As a Lake Norman Custom Home Builder, Tim Whelan's education in construction started early. With both his father and his uncles involved in home building, Tim grew up immersed in the industry. And what attracted him to his dad's business then is the same thing he loves about his own company today -- the creativity of home building and fostering good relationships with his clients. Tim and his wife and partner, Ann, embrace the idea that they aren't just building a house, they're building the place where a family lives. With her background in art and design, Ann is available to assist clients with the interior selections for their home. Lowcountry and traditional architecture are the signature styles of T. Whelan Homes. Omnia Construction's focus is in helping customers renovate and remodel their homes. We believe in building projects of high quality and lasting value and we pride ourselves on providing excellent customer service. We do "sweat the small stuff" because the small stuff is what ultimately makes the difference between good and great projects. Everett Custom Homes has been recognized regionally, and locally for their commitment to quality and integrity while focusing on their clients needs, wants and desires and always trying to incorporate these wants and desires into their home. Eric builds each home as if it were his own home and as if his family was moving into. Founded in 2007, Everett Custom Homes quickly established itself as an award-winning builder of high-quality custom homes. As an owner-operated company with a focus on turning designs into living masterpieces, Everett Custom Homes works with clients throughout the Charlotte Metro Areas and surrounding NC suburbs to build high quality and architecturally correct homes that are built to last. In 2014, Everett Custom Homes was selected by SOUTHERN LIVING to be in their highly sought after and carefully awarded Custom Home Builders program. SOUTHERN LIVING carefully selects custom home builders that transcend the pages of the magazine into a dream home. 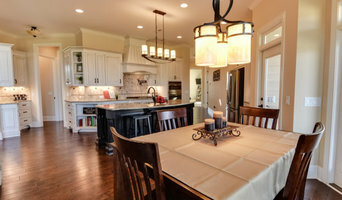 Members are chosen for their extensive experience and knowledge, reputation in the marketplace, and focus on the discriminating customer who is looking to build a custom home. Most of our work is done on a design/build basis in conjunction with our network of talented architects, but we also work with clients who want to make modifications to pre-existing plans or who have met with skilled Architects in the area. We take pride in knowing that every single home is designed, crafted and built with extraordinary care and quality that will last throughout family generations. It’s personal and authentic, and it extends to the relationships and trust that we build with our customers and their families. Shaw Custom Builders was started by Kent Shaw in 1986. He had a vision to build quality, specialty homes for his clients. Kent has proven to be a remarkable home builder whose reputation speaks for itself. 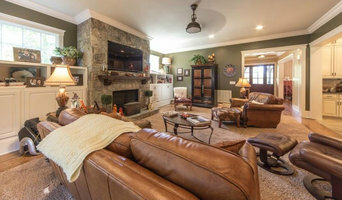 The business transformed into Kent Shaw, and Sons Construction also known as Shaw Custom Builders, when his three sons showed interest in continuing the family legacy of building custom homes. The Shaw family takes pride in the homes they build. They specialize in custom home design. They will work with you to create your perfect home. Shaw Custom Builders only uses the highest quality building materials. They pay extremely close attention to every last detail of building your home. With Shaw Custom Builders you will get the home you've always dreamed of because of the superior construction they provide. Contact them to start designing your home. You can begin with one of our plans, bring one you like, or work with them to create a special and unique plan. 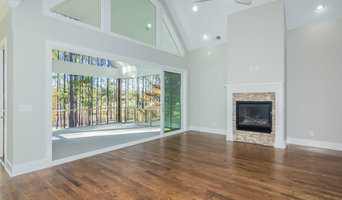 Southern Cottage Corporation, a Certified Green Home Builder, offers the latest industry trends and innovations paired with responsible home design and implementation. Creative designs, energy efficiency, quality materials and workmanship with sound business strategy and accountability sets us apart from the average. Sound fiscal strategy in our business is inherent and part of the value proposition we proudly offer our clients. Randy and Angela bring over 19 years in the building industry and have been building custom homes together since 2002. Randy’s attention to detail and precision matched with Angela’s design creativity and customer service make Sage Homes a custom builder of distinction. Randy and Angela’s approach to building is very personal. They realize that a custom home could very well be their client’s largest, most significant investment. That’s why they sit down with each and every customer to learn their lifestyle and what is important to their individual home planning. From the early stages of construction their initial drive is structural integrity mixed with excellent design. The difference they bring to home building is a conscious, hands-on creation to build superior quality into every custom home as they work with their clients throughout the build process. Building amazing homes for their clients is their passion. Our mission is to create a piece of art with every home we build while providing the homeowner with a harmonious experience throughout the building process. To make you, the homeowner, as proud of your new home as we are to build it for you. Owners Chris and Monica Strom describe their company as “small by choice” in order to maintain their customized approach to homebuilding. Dedicated to a high level of customer service and attention to detail on each home, they supervise every step of the process, maintaining open communication with their clients. With a background in construction and carpentry, Chris specializes in complex interior trim work with custom designed trim pieces to enhance & individualize each home. Strom Construction builds a limited number of homes each year to ensure that their clients’ building experiences are positive and personalized. With great pride, we wish to warmly welcome you to Augusta Homes! 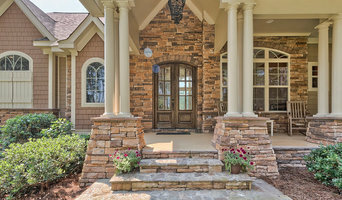 As a leading luxury home builder in the Lake Norman area, we have enjoyed being recommended by others who have experienced our attention, dedication and quiet resolve on behalf of our clients. Most importantly, we understand the true meaning of lifestyle. With this in mind, we recognized an opportunity to share our knowledge base and national award-winning expertise by developing The Lifestyle Collection, which brings together the most appealing and desirable design plans based on our abundant experience and passion for building extraordinary personal residences in this coveted community we call home. This collection has been developed with a keen eye for structural integrity, architectural authenticity, innovative construction, creative quality and enticing allure. With the most sought after details and design features –from European provincial to trendy courtyard concepts, this collection offers a myriad of styles, choices and lifestyle options. Since 1997, we have earned a peer-admired reputation of being highly skilled, dependable and involved. Our approach is to work with trade contractors who are true craftsmen. We build trust in you –our client– by keeping a watchful eye and hands-on approach from the moment you choose to work with us to the day you move in to your new home. You will find no other builder that shares in your enthusiasm more. We value our clients’ loyalty and look forward to keeping the promises we make.